We're heading into apple season! Makes me think of all the fall trips we took to the apple orchard when I was a child. My mom loves apples and always wanted to have several bushels to last throughout the cold months. She'd store them in big cardboard boxes in our garage, covering them with throw rugs when the winter temperatures dipped low. The garage smelled more like an orchard outbuilding than it did of gasoline and motor oil. When the neighborhood children would catch sight of those big boxes overflowing with apples, they'd always comment that they wished they had that much fruit at their houses. Mom and Dad were just doing what they had been taught during their years of growing up in Depression era Appalachia; gather up and put up so you're prepared for tomorrow. Now my mother's love of apples probably came naturally, because she descended from a long line of apple lovers. Her dad (my papaw), her grandpa, and her great grandpa all loved apples. I interviewed my papaw about his past a couple of years before he passed away, and he had this to say about his grandfather, who was an Eastern Kentucky farmer and apple grower…"Used to have some of the best sweet apples I ever ate. Sweet apples…that was Grandpa!" 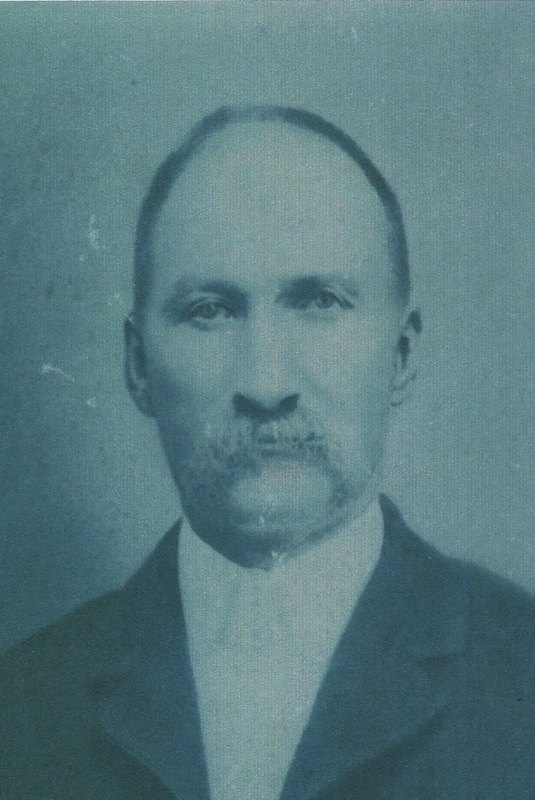 Great Great Grandpa "Sweet Apple," an Eastern Kentucky Farmer and apple grower. I'll tell you a little apple story about my papaw himself…it's a bit sad, but there will literally be a "sweet ending," so bear with me. My papaw was a big, strong, hardworking Eastern Kentucky farmer. He loved life, loved people, and LOVED to eat…and boy, did he have a sweet tooth! When Papaw got well into his eighties, he began struggling with Parkinson's Disease, which left him highly susceptible to pneumonia as it progressed. He was in and out of the hospital quite a bit with this in the last few years before he passed. On one of these occasions, a couple of my sisters and I were down visiting him while he was being treated in the hospital. Now it just so happened that an annual apple festival was going on in town that very same day…within walking distance of the hospital. We knew they would be selling all kinds of apple delicacies: apple butter, apple pies, and of course, apple dumplings! So knowing full well that Papaw had that sweet tooth, we asked him if he would like to have some apple dumplings. And of course he said yes. Honestly, who wouldn't!?! An old photo of Papaw, out and about on his farm in the East Kentucky hills! And then we knew immediately what he meant. Have you ever had Appalachian style berry dumplings? You know, the kind where the biscuit-like dumpling dough is spoon dropped into this sugary sweet berry liquid of pure heaven!!! (Yes, I'm a fan!) Well, poor Papaw had been there in his hospital bed the whole time that apple dumpling was being retrieved, thinking that he was about to get to savor THAT type of dumplings. Perfectly understandable, as those were the type of dumplings Papaw had grown up eating and had known all his life. ...maybe not made with apples, but he certainly didn't expect a whole apple wrapped in a pie dough-like crust and baked in an oven. And we could see the disappointment on his face. Well, let me tell you, I just felt so bad for Papaw! It doesn't take much to break my heart when it comes to old people…I've got a soft spot a mile wide for the elderly, and Papaw's apple dumpling disappointment made me a little disappointed too. 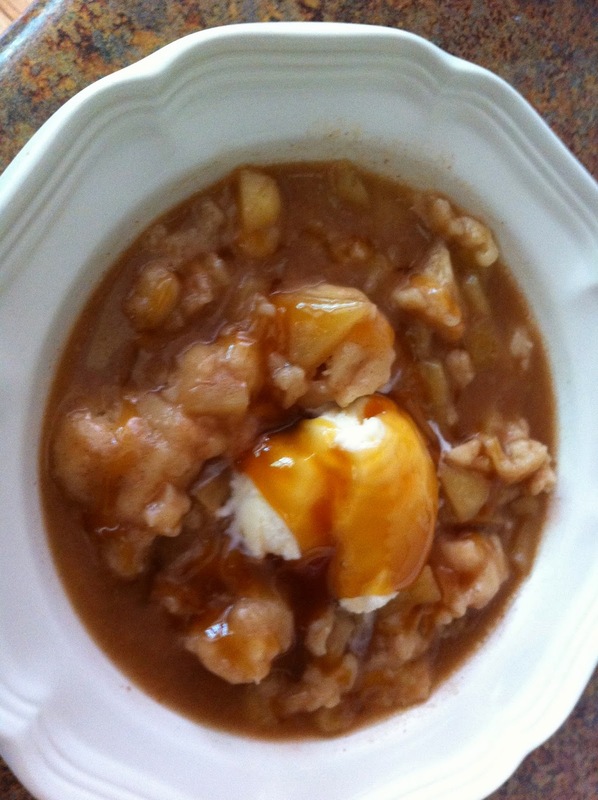 Over the years, I have thought about this incident from time to time, and wondered why I have never heard of anyone actually making Appalachian style apple dumplings before. Growing up, we just always had these type of dumplings with berries...and maybe the occasional peach. I have had raspberry, blueberry, blackberry, black raspberry…even strawberry dumplings done this way. But for some reason, no one that I knew of had ever done this style of dumplings with apples. Is it just me? Is it just my family that never tried it? What about you all? 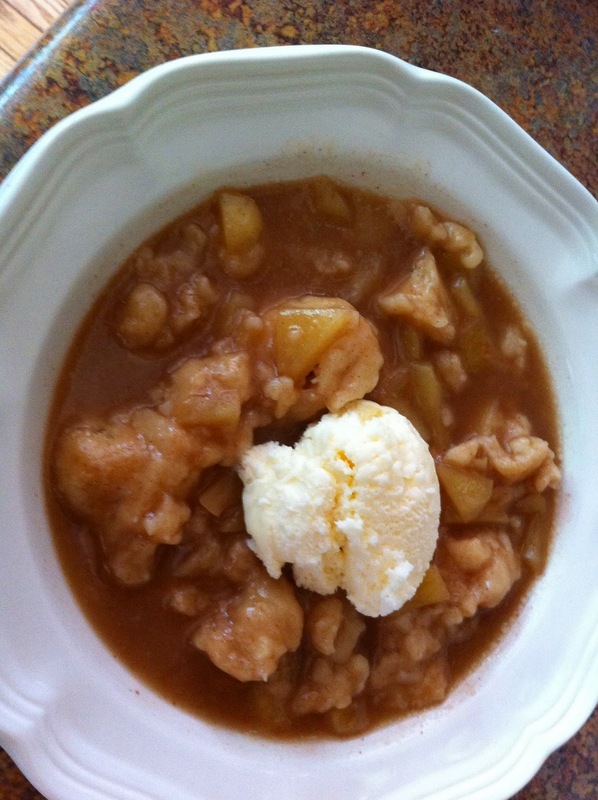 Did you ever try apple dumplings done in the same style as Appalachian berry dumplings? Well, in honor of my sweet Papaw, who I miss with all my heart, here is my attempt at "Papaw's Eastern Kentucky Mountain Style Apple Dumplings!" I debated calling them "Apple-achian Dumplings," but then you all might think I'm nuttier than what I really am! Apples (I used gala, but just about any firm variety would work. ), granulated sugar, brown sugar, vanilla extract, cinnamon, butter, water, all-purpose flour, baking powder, salt, milk, and vegetable or canola oil. First, peel, core, and chop your apples. I used 6 smallish apples and they equaled about 4 cups. If you like more fruit to your dumplings, go ahead and add more. Now I diced mine into pretty small pieces so they would cook quicker and not get in the way of my dumplings dropping into the saucy goodness, but feel free to cut yours to whatever size suits your fancy. 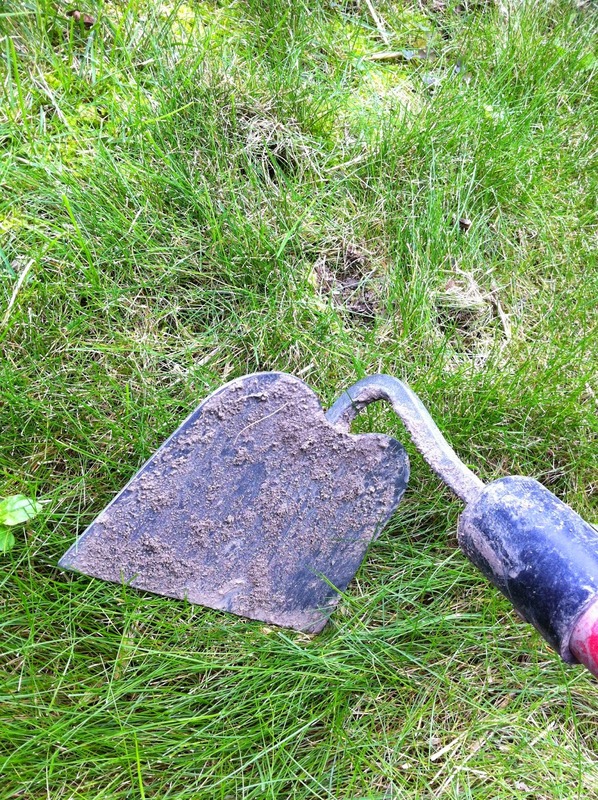 Just remember that bigger chunks may take longer to soften. Place your apples in a good sized pot or saucepan (I used a 3 quart size.). Then cover the apples with about 4 cups of water. Next, add 3/4 cup granulated sugar and 1/4 cup brown sugar to the apples. Now don't forget the cinnamon...'cause cooked apples are certainly a bit more mild tasting than berries are, and we want this dish to taste as well-balanced as Appalachian berry dumplings usually do. I used two teaspoonfuls of cinnamon. Add a couple of pinches of salt to balance out all that sweet! Well, here I go being bad...I added a tablespoon of butter to the apples as well. Just to lend a hint of richness, you know? But, now, if that doesn't float your boat, you feel free to leave it out! Then heat on the stovetop on medium high heat until the apples come to a boil. Continue to boil until apples begin to soften--about 5 minutes. In the meantime, begin mixing up your dumpling dough. Throw in a pinch or two of salt. Add 1/4 cup granulated sugar and 1/2 teaspoon cinnamon and mix. Now the Appalachian dumplings I grew up eating never had sweetener in the dumpling portion itself. But again, I'm trying to offset the mildness of the apples compared to the usual berry version. Or that's at least the story I'm going to tell myself! Then, into the flour mixture, pour about 1 2/3 cups of milk...I used skim...to redeem myself, you know. Add 3 tablespoonfuls of oil and fold the mixture together, just until blended. You will end up with a spoonable wet-like "biscuity" dough. If you have ever made berry dumplings, this dough may seem a little wet in comparison…but trust me, it makes wonderfully soft dumplings when all's said and done! Now, drop this dough by spoonfuls into your boiling apple mixture. My spoonfuls were about 2-3 tablespoons in size. Once dropped, I like to push the spoonfuls down into the liquid to make room for the rest. They tend to want to float, but it will all come out in the wash so to speak! Once all the dough has been dropped in, cover the pot with a lid, reduce heat to low, and simmer an additional 10 minutes or until the dumplings are cooked through. Allow to cool until just still warm. Now comes the best part...spoon this deliciousness out into bowls. You can enjoy the treat as is (my favorite way), or top it with a dollop of vanilla ice cream, or caramel sauce. Or if you are feeling extra decadent...even both! Delicious!! And I may or may not have enjoyed some leftover and straight out of the fridge for breakfast the next morning too... What a tasty way to start off apple season! And what a great way to celebrate our Appalachian heritage! Only thing missing is Papaw...but I hope I would've made him proud with this one. Wish he could taste it! The full recipe is below, so go on and give it a try...and let me know what you think! For a printable version click here. If you enjoyed this post, don't forget to pass it along to your friends. Appalroot Farm is on both Facebook and Pinterest. So feel free to "Share," "Like," and "Pin" away! See ya back here soon! Place chopped apples in a 3 quart or larger cooking pot. Add water, granulated sugar, brown sugar, cinnamon, salt, butter and vanilla extract to the apples. Heat on the stovetop over medium high heat until the apples begin to boil. Continue to boil about 5 minutes until the apples begin to soften. While waiting for the apples to soften, begin working on the dough mixture. In a medium mixing bowl, combine all purpose flour, baking powder, salt, granulated sugar, and cinnamon. Pour milk and oil into the flour mixture, and fold together until combined. Once apples have started to soften, drop dough by spoonfuls (2-3 tbsp. sized) into the boiling apples. Cover pot with a lid, reduce heat to low, and simmer an additional 10 minutes or so until dumplings are cooked through. Allow dumplings to cool until just still warm. Enjoy as is, or top with ice cream and/or caramel sauce. Store leftovers in refrigerator.